DIMENSIONS: 12.99″L x 5.90″W x 13.28″H, Weight: 1.3 pounds. 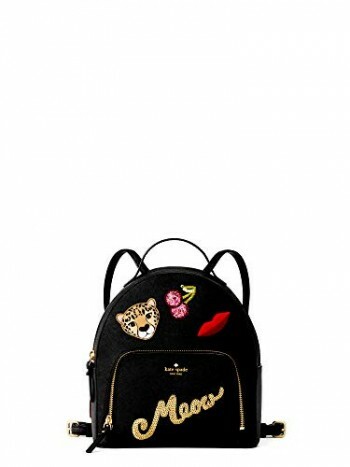 [HIGH MATERIAL]: This backpack is made of high quality soft synthetic washed leather and Nylon shoulder straps, which is fashionable and durable. with Waterproof and Anti-theft function to protect your electronics, books or clothes. This fashion backpack can hold your daily essentials, like triple folding umbrellas, books, cell phone, pounds. Please pay more attention to the size reference on the image before paying for your order. It’s convenient and lightweight for you to carry everywhere you want. [WELL-DESIGNED] The strap of backpack is adjustable. And you can carry it as a single-shoulder bag or backpack as there is a removable short shoulder strap.